You’ll discover the lost remedies used by our ancestors for centuries. And I’m not talking about rare and complicated insights that only a botanist knows. I’m talking about plants that grow in your backyard or around your house. Very common weeds. For example, this common driveway weed is one of nature’s most powerful survival plants, it’s not only edible, but it’s super nutritious, easy to identify, has no poisonous look-alikes and it is used as medicine. Following the instructions from The Lost Ways, go ahead and use this underestimated plant and make yourself a POWERFUL anti-microbial and cell re-growth bandage. Or simply make a tea with it that can be used for a wide range of digestive problems and toothaches. In The Lost Ways you’ll find lots of these common invaluable weeds with pictures, how to identify them, how to prepare them and how to use them… all with different medical effects… because when the medical system collapses this will be your only option to heal yourself. I will show you how to make another superfood that our troops were using in the Independence war, and even George Washington ate on several occasions. This food never goes bad. And I’m not talking about honey or vinegar. I’m talking about real food! The awesome part is that you can make this food in just 10 minutes and I’m sure that you already have the ingredients in your house right now. You’ll also discover 25 other survival foods that we’ve lost to history.You can bring them back to life and improve your stockpiles, so you’ll never run out of food in a crisis.Or you can spend fun weekends with your family recreating old survival recipeslike Mud Apples or Mormon Johnnycake. Really, this is all just a peek ! This special report contains the most nutritious and toughest plants that you should start growing so you’ll never run out of food. …and you’ll also find instructions on how to plant, grow, harvest, and STORE them. …which is a day-by-day guide that shows you what to do after an EMP every day, for 30 days, using The Lost Ways. In this report, you’ll learn the 10 things that you should do on day one, what to make on day 2, what you definitely need to turn to on day 3, and so on ’till day 30, when you’ll be absolutely 100% self-sufficient, protected, and able to help others if you want to. I’ll show you what to do every day after the EMP so you’ll never run out of water, food, or heat and then what to do or build to improve things day by day. A can rotator is not only a time saver but also a money saver. Whenever you buy new cans, you insert them in the upper shelf. The cans will automatically roll down, and they will be the last in the row. When you pick them up, you do so from the shelf below, so you will always pick the can that you bought first and therefore with the closest expiration date. 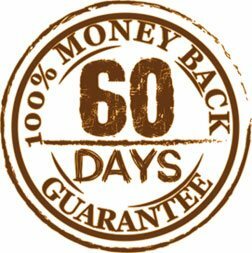 …for 60 days and unlimited e-mail access where you’ll get to ask me whatever you want. Q: Is The Lost Ways available in hard cover? 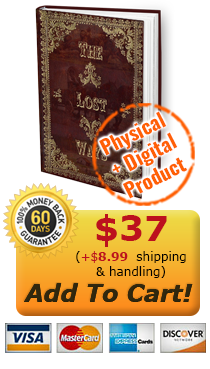 Yes, The Lost Ways is a 350-page book available in hard cover in US. Absolutely not. The Lost Ways is NOT for incredibly rich “doomsday” preppers. Think about it this way: Although our grand-grandfathers were more prepared than most of us, they were not preppers. This book is written for all Americans who want to keep our forefathers knowledge alive and to take advantage of it no matter if they are interested in: homesteading, survival, gardening, off the grid living, or if they simply want to be more self-sufficient. Q: Is the “Handshake Guarante” really risk-free? Self-sufficiency will save you money… not only on the long run, but starting on day one. But of course, it all depends on you. If you choose to follow the old self-reliance methods that you’ll find in The Lost Ways, be sure that you’ll save lots of money.